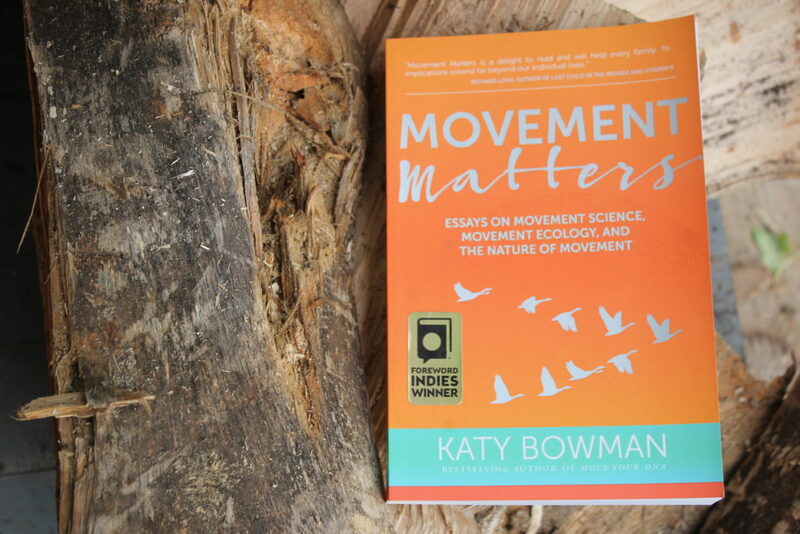 This book is different from my others; it doesn’t so much tell you how to move, only that moving more is requred, for the sake of your health, the health of your community, and the health of the planet. To find out more, visit our build a movement community page. Side effects may include happily eating the weeds in your yard, long distance walks with friends, and becoming aware of your place in the web of life. I often write about the physical weaknesses that persist in a sedentary culture and also how many of those weaknesses are part of a reduction in necessary biological functions and are normalized and/or explained by things other than a lack of movement. The Washington Post published an article highlighting a pilot and follow-up study on how American kids are throwing away the apples given to them for lunch. As it turns out, they throw the whole fruit away because eating it is too much work. Slice it, and they’ll eat it. According to the article, “A child holding a whole apple has to break the skin, eat around the core, and deal with the hassle of holding a large fruit,” and older girls in particular found whole fruits messy and unattractive to eat. In 2014 Americans ate 511 million sliced apples, and this statistic is driving the food industry to focus their attention on pre-sliced, treated, and packaged apples. If we’re considering only dietary nutritional value here, then “at least they’re eating apples, and that’s good, right?” applies. But if we broaden our scope to an ecological perspective, we’ll see that the cost of our children not being practiced or strong enough to eat a whole food includes the work necessary to slice and often package the food (typically with plastic). This is why I find it increasingly relevant to consider movement from an ecological perspective. Without framing our movement habits relative to the world, it’s easy to miss the cost of outsourcing work necessary to meet our own biological needs. Our children are too weak to eat whole apples; they were not provided with an environment necessary to develop strong chewing skills; and now other humans and the planet are burdened by their unnecessary weakness. This is a matter of movement and is also why movement matters. Becoming as competent at moving through nature as is possible for you is not only about achieving the movements or reaping the physiological and tangible rewards of the movements. There are also experiences that only natural movements in nature can afford. For example, squatting can do more than open your hips; the ability to squat opens up how you see the world. A squat puts a different part of the world in front of your face and reveals more of it—stuff you can’t see and interact with unless you get down to the ground and look closely. On a recent trip to New Mexico a squat facilitated the chance to inspect tiny succulents, plants only visible once I was down there, with my kids, poking through the rocks on the desert floor. We miss so many little things when we always take in the world from the same height, from the same perspective. Likewise, prioritizing the work to develop a more stable gait and quick reflexes as you move over ground with its natural lumps and bumps and slipperiness and shape doesn’t just result in strong feet and ankles and good balance. Strong parts gift us the ability to move with enough confidence to not constantly watch the ground ahead of us. We can look up and around at the world that surrounds us. And it’s not only the big stuff like moving hips and knees and shoulders and spines this former lover of “big exercises” has found delightful. The smaller motions of weaving, molding pottery, crushing spices, cracking nuts, and picking berries are big in the satiation they offer the non-physical part of me that created something new—a necessity that I, until then, had only experienced as something I bought ready-made. On my personal journey of training my body and lifestyle towards more natural movement, it’s not the thirty-seven-mile walkabout I did one day that has brought me the most joy, but the day I learned how to create cordage by braiding the fibers of grass and nettle. String and rope, it turns out, are key to survival in nature (and also free jewelry)! Grand motions and small gestures, huge physical feats and tiny triumphs can all offer experiences of accomplishment, self-efficacy, confidence, and glee. The accumulation of natural movements used for producing some necessity is a tapestry of satisfaction being woven in our minds just as much as in our cells. Ferdman, Roberto A. 2016. “A Clever Tweak to How Apples Are Being Sold is Making Everyone Eat More of Them.” Washington Post, May 19. Wansink, Brian, David R. Just, Andrew S. Hanks, and Laura E. Smith. 2013. “Pre-Sliced Fruit in School Cafeterias.” American Journal of Preventative Medicine. 44(5): 477-48.